so, I did a DIY greenhouse the past 2 years but it just doesn't stay together in the wind, it keeps falling apart so I want something sturdier this spring. so I have these 3 pieces of glass and this wood... so I want to make a more permanent/sturdier greenhouse. can anyone help me with the design? I can do a low to the ground one and push my flats in and out or something. I don't have to walk in it, that is fine. I don't be able to with thsi little amount of glass I figure... thoughts? I' say the glass is 6 feet long? You are taking out the glass and moving it elsewhere, right? 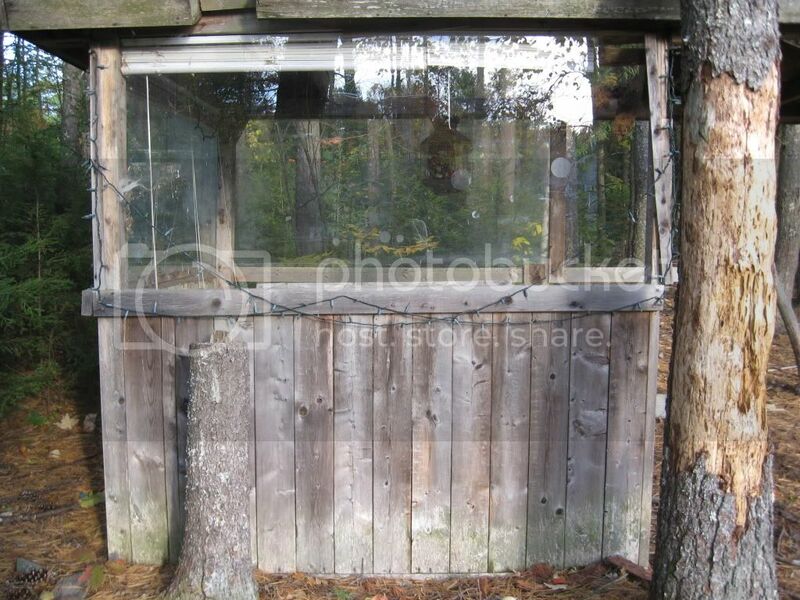 My 1st backyard greenhouse was a lean-to against the south wall of my garage. It had 5 windows, a door, and a corrugated fiberglass roof. The windows and door were framed into the 3 walls and it was right at 12' by 5'. A bench about 30" above the floor gave me a place to set flats of plants and I could hang plants from the the rafters in front of the windows. The walls below the bench were insulated, with a wood siding exterior. When I moved just a few years later, there was no south wall available for my little lean-to. And, I'd built it to move - bolted together. So, I built a wall in my new backyard and assembled the greenhouse against it. I remember a neighbor looking over our fence and saying, "Nice wall." And, that was all it was . . . a concrete foundation with a wall on top of it. Then I set up the little greenhouse and, voilÃƒÂ , instant protected growing ! Last edited by digitS' on Sat Oct 23, 2010 3:49 pm, edited 1 time in total. i would take out the glass and use it all as one big wall on the south side. use the rest of the wood to seal the two sides and the back. giving you a makeshift solar greenhouse. add some thermal mass on the north wall and it will hold heat even better in the winter. Or think about a cold frame, which is basically what you are talking about when you say lower to the ground. http://www.greenfootsteps.com/cold-frame-design.html Use your glass for the lid of it. Probably best for this usage if you can frame the glass in with wooden frame (if you have a router or something to make a groove in the wood, it shouldn't be too hard) then add hinges to the wooden frame. With a design like this you can prop the lid open a bit in the day time, to keep from cooking your plants on sunny days. 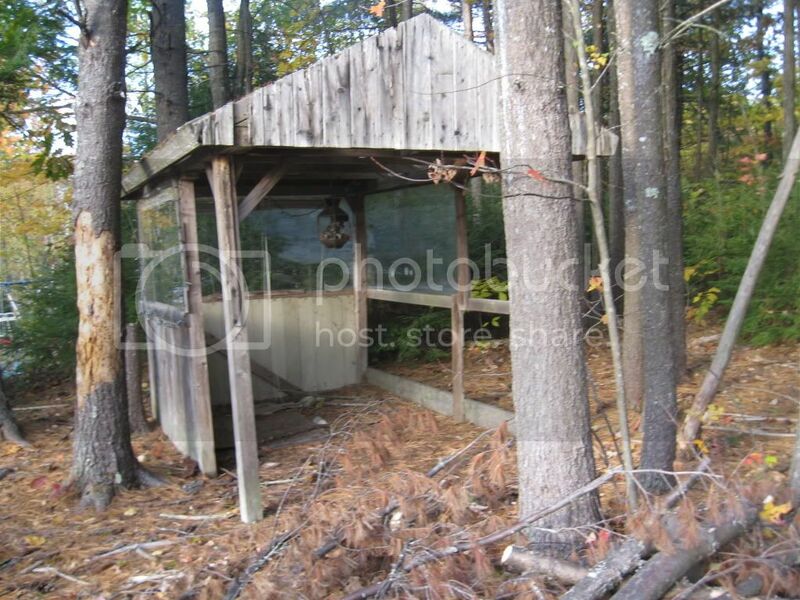 Yes, I iwill disassemble this "thing" that is sitting in my backyard/woods that is falling apart. I affectionately call it the "crack shack" because when we moved in here we were like, wtheck is this thing? and the tree next to it had what looked like sneakers hanging from the tree branch LOL! well you all know the story about shoes from telephone wires right? ok, back on topic... I think cold frame would work perfect! I don't know why I didn't think of that before. I would bring my plants in at night anyways because I was afraid the cold at night would kill them. I start putting my plants out in april. I think this should work. but I may only need one or two of the pieces of glass right? Oh I have a great design that just popped in my head. hmmmmm. now to figure out how to DO this. my DH is going to be like, ANOTHER PROJECT!?!? can't you just stop woman? LOL! excuse my ignorance please...but i don't know about the sneakers hanging from telephone wires...do tell, do tell..???? My first greenhouse. Built from recycled materials. Phase changes in what materials work in the greenhouse! How to make a mist fan for greenhouse?